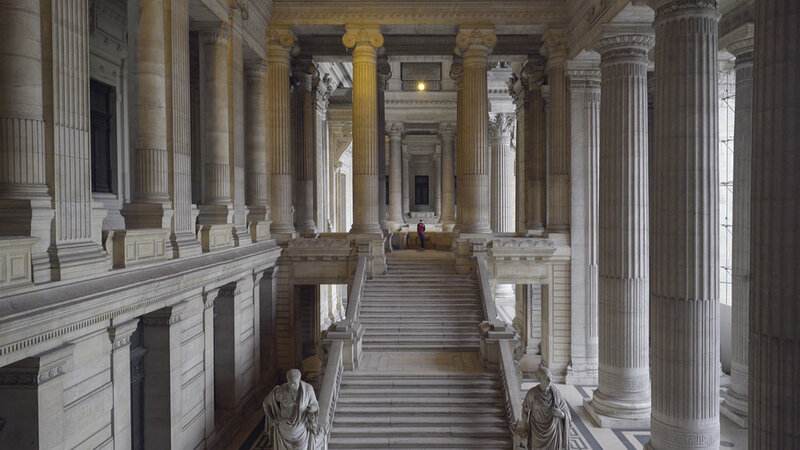 Palais de Justice was filmed surreptitiously at the Palais de Justice in Brussels, an enormous and ornate 19th century courthouse designed to depict law in terms of the sublime. 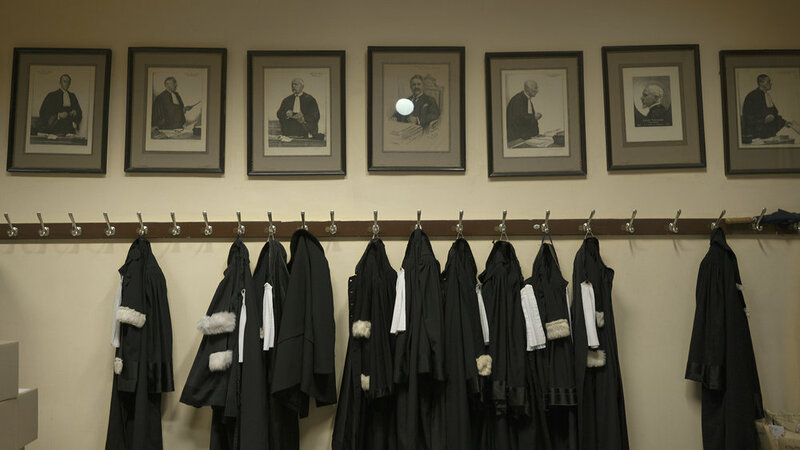 Contradicting the familiar patriarchal culture of law, Young's camera depicts female judges and lawyers at court. 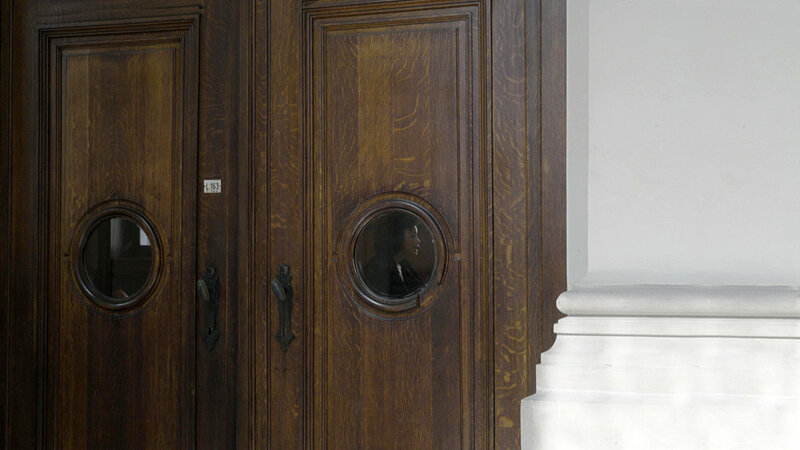 Sitting at trial, directing proceedings or delivering judgments, female judges are seen through a series of circular windows in courtroom doors. 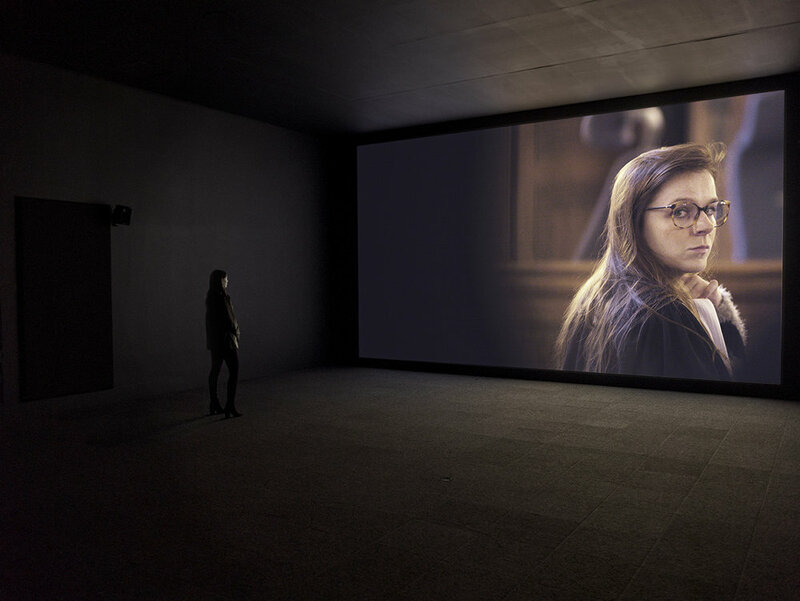 Always shooting without permission, Young subtly builds a counter-narrative: a legal system seemingly centered on, and perhaps controlled by women, as if male presence may be optional or unnecessary in this particular future. 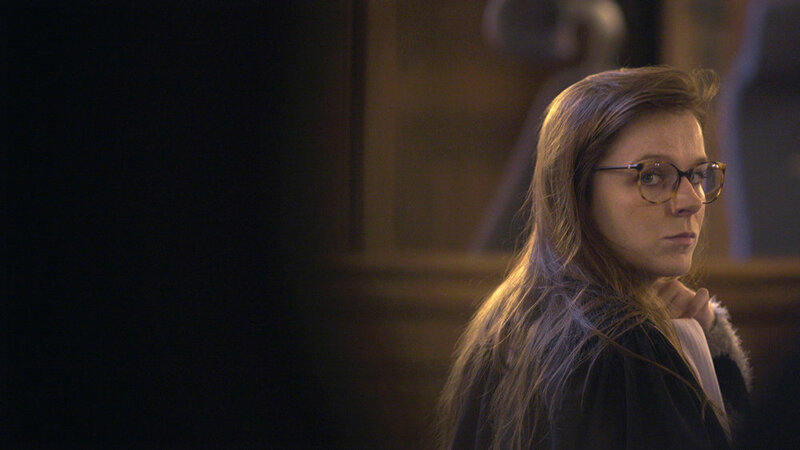 Young’s camera becomes implicated, either caught within reflections, or through becoming noticed by some of her subjects. 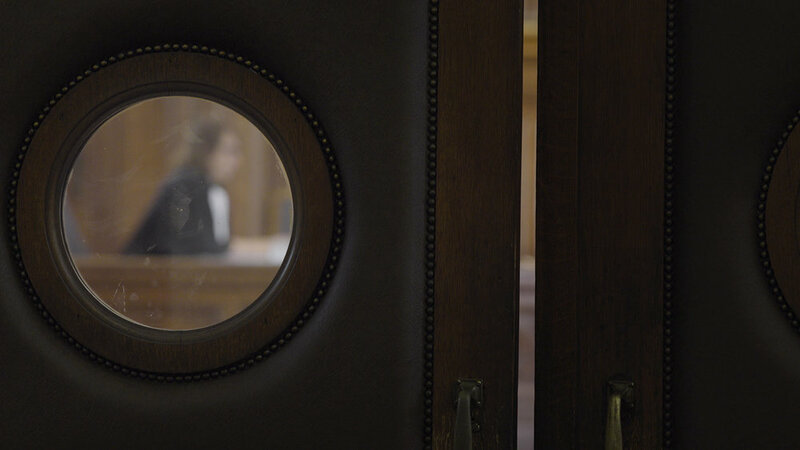 The windows and the camera’s lens are suggested as an interwoven series of oculi, in which we watch justice as performance and are ourselves implicated as witnesses and voyeurs. 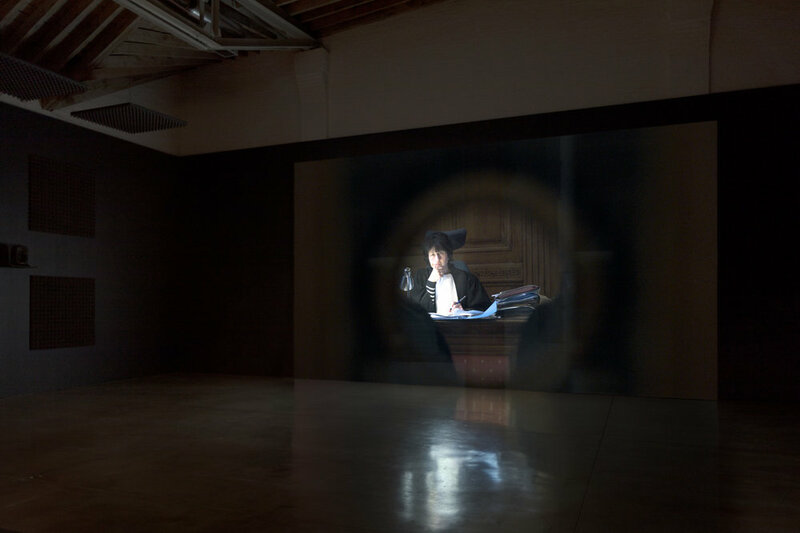 The piece considers the complex relations between lenses, surveillance and ideas of framing or being framed, which are at the core of the law-related work Young has been developing for more than a decade. 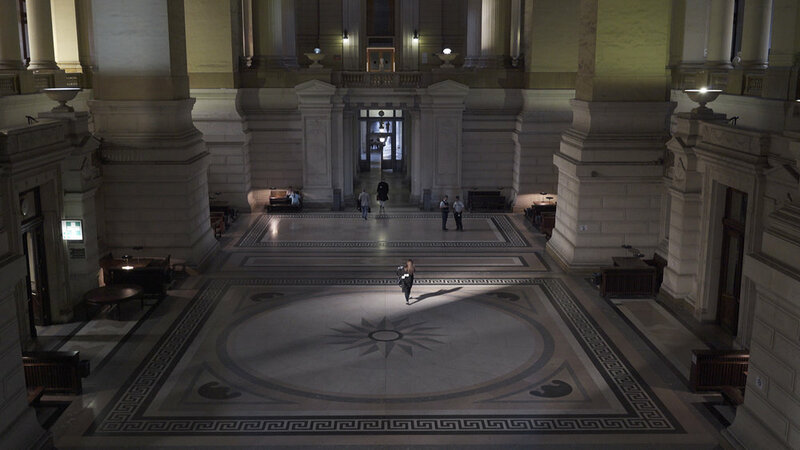 Thanks to Prof. Alison Diduck, UCL Laws; Prof. Les Moran, School of Law, Birkbeck; Prof. Linda Mulcahy, Law Dept, LSE for their research suggestions, to the Slade School of Fine Art for research funding and to Sohosonic for sound design.